Our experienced staff will help make your time at Manna House of Prayer restful and meaningful. Whether you’re here for a few hours, a few days or a month-long retreat, we’re here to help by providing you with the hospitality, service, peace and beauty you deserve and need during your stay. It’s not just our goal, it’s our mission. 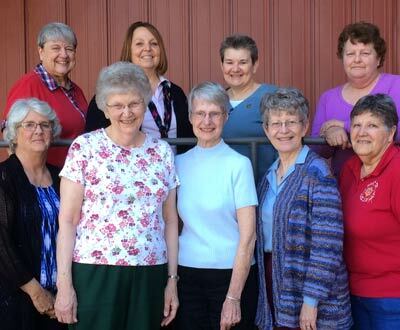 To learn more about Manna staff members, CLICK HERE. Located in a rural mid-western setting, Manna House of Prayer offers easy access to quiet country lanes, open fields and quaint local shops — all within walking distance. The historic red brick building has had many uses over its long life and today combines the comfort of tradition with all the modern amenities — spacious, comfortable, private occupancy bedrooms; wi-fi access; multiple conference rooms; a large chapel; a moderately equipped exercise room; fully equipped kitchenette for breaks or late night snacks; several lounge areas with large screen televisions and video equipment and a library that has extensive audio-visual resources. To learn more about our Scholar House program and the “Convent Experience” — or if you are interested in renting the facility for a family gathering or small group event — CLICK HERE for all the details. Hospitality that is warm and caring; values community and individual needs for solitude; and provides material and spiritual assistance for anyone who comes. Service that is inclusive and respectful; unhurried and professional; unpretentious, attentive and challenging; and accepting and loving. Peace that is marked by holiness and wholeness; quiet, privacy and solitude; relaxation and security; and a sense of the sacred in place, relationships, teachings. Beauty that is homey and restful; simple, open and comfortable; and mindful of Manna’s rich heritage as an institution sponsored by the Sisters of St. Joseph of Concordia. Out of a sense of call, we desire to respond to the material and spiritual needs of contemporary society. In light of our understanding of prayer and apostolic call, we hope to enable all who come to Manna, and those whom we serve outside of Manna, to seek and to find God in all the events of life. Enhance your spiritual journey or retreat with reading materials from Manna House of Prayer’s extensive library. Our library offers hundreds of titles for you to choose from on subjects ranging from Addiction to Spirituality and many topics in between. 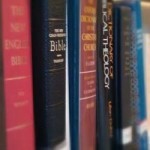 The library is located on the third floor of Manna House and is open for your use. Manna House’s small but well-stocked bookstore is available to the public throughout the year. 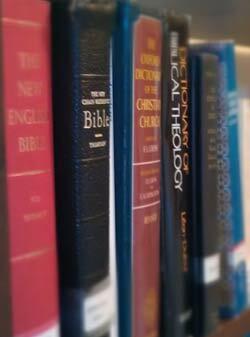 Offerings include titles related to personal and spiritual growth, biblical scholarship and theology. Our bookstore also has available for sale greeting cards for all occasions, created by Sisters Ramona Medina, Carm Thibault and Janet Lander. Card prices run from $1 to $2 each, with discounts for purchases of six or more cards. Manna House apparel, art work and other gift items are available in the bookstore as well. Located on the first floor, it is open during our regular business hours. We keep pretty busy with retreats and workshops, but we always make time to offer a helping hand in other ways, too. In fact Helping Hands, our emergency assistance program to help people in Concordia and even some of those just passing through, is an important part of our daily ministry. 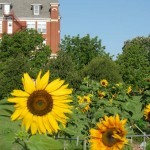 And depending on the season, there’s quite a bit to do in the Concordia Community Garden of Hope. To check out those projects, just CLICK HERE. We’ve been here for 130 years — and counting! 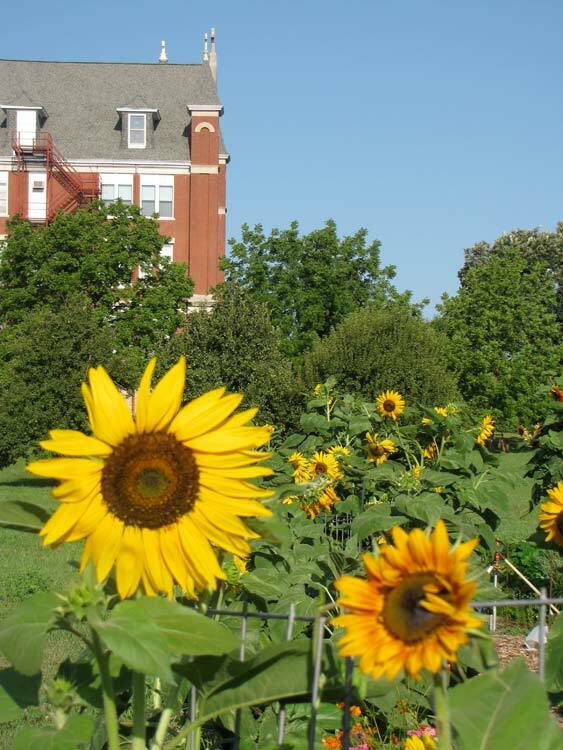 To learn a little more about the Sisters of St. Joseph of Concordia and Manna House of Prayer — which encompasses the original Motherhouse built when the first Sisters arrived in Concordia in 1884 — you can CLICK HERE.